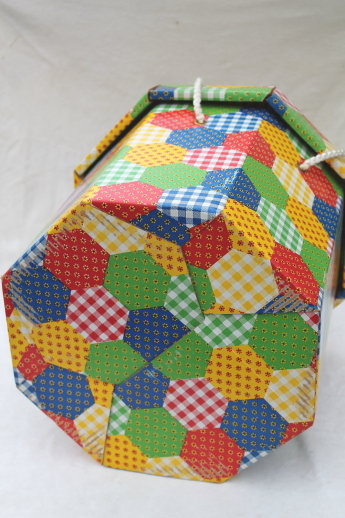 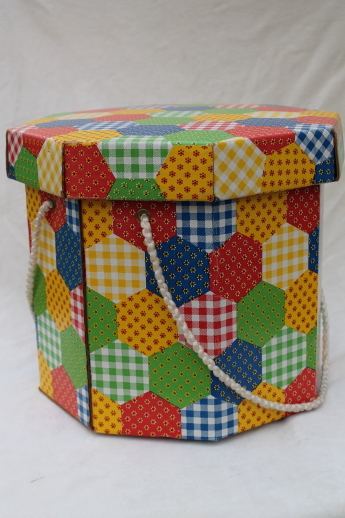 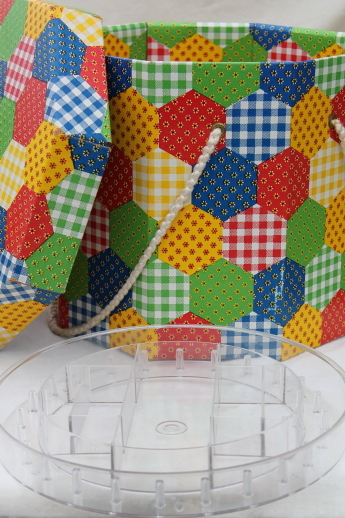 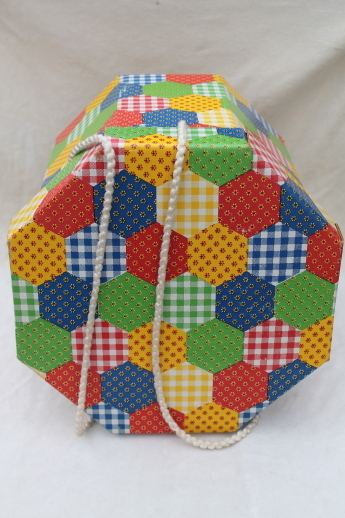 Huge hat box to hold your sewing things in a hexagon patchwork quilt print, prairie pioneer style. 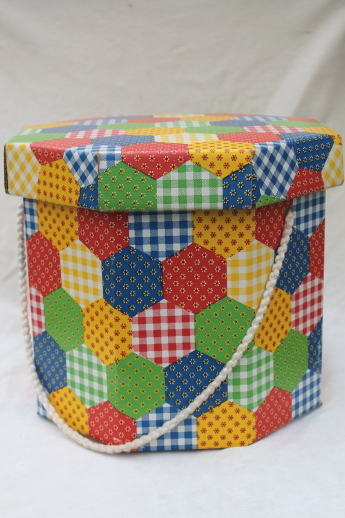 This is so cute, Holly Hobbie probably has a sewing box like this! 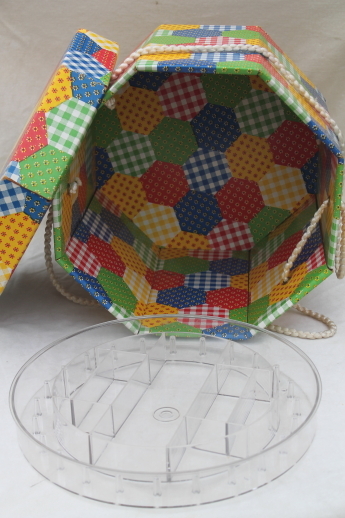 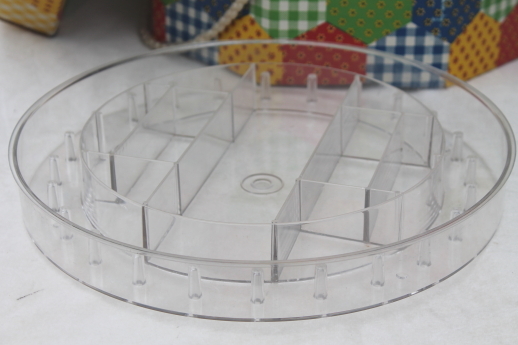 It&apos;s heavy cardboard with a plastic tray to hold spools of thread and other sewing notions. 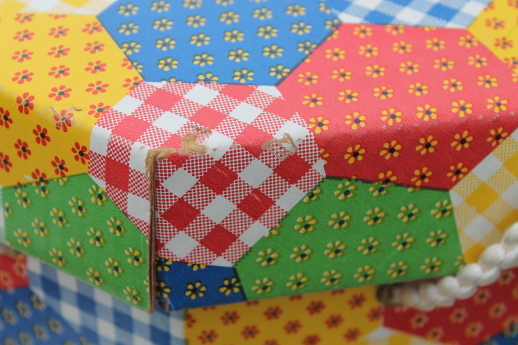 The inside and outside of the box is patchwork print paper, nice and clean. 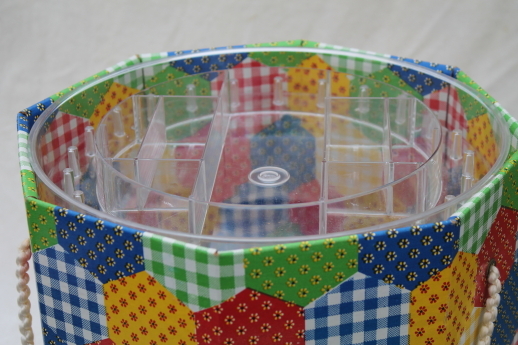 Size is 13" in diameter, 11 1/2" tall.